The number of patients in hospitals in 2015 increased by 4 percent year-on-year to 54,000, according to information released by the Statistics and Census Bureau (DESC). Of this number, those aged 65 and above (12,000) rose by 14.1 percent. On the other hand, the number of hospital patients under 15 years of age dropped by 1 percent to 11,000 last year. The occupancy rate of hospital patient beds in 2015 rose marginally by 0.8 percentage points year-on-year to 76.6 percent, with patients staying for average 7.4 days. This represents an increase of 0.1 days year-on-year. Hospital staff conducted a total of 1,627,000 external patient consultations last year, up 7.5 percent compared with 2014. Consultations in Chinese Medicine increased by 16.5 percent to 183,000, while those in Gynecology and Obstetrics (97,000) dropped 3.6 percent, which DSEC attributes to a decline in live births. Meanwhile, dialysis treatments, which numbered 83,000 cases last year, registered continuous upward growth of 8.1 percent. Attendances to emergency services (475,000) were also up last year, rising by 2.7 percent over 2014. Of these, emergency attendances on the Macau Peninsula rose 7.3 percent to 361,000, while those in Taipa dropped 9.4 percent to 113,000. Around 310,000 doses of vaccines were administered in hospitals and primary health care establishments in 2015, with vaccinations against Influenza alone accounting for 93,000 doses. The number of blood donors reached 10,157 in 2015, up slightly be 1.4 percent year-on-year. Of these, first-time blood donors increased by 8.1 percent to 2,948. 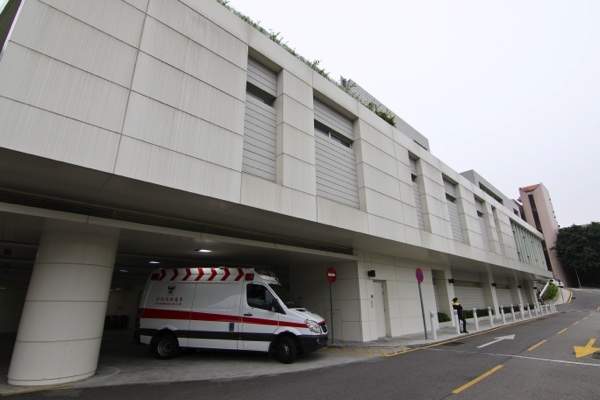 In 2015 there were a total of 1,494 patient beds across Macau’s five hospitals, according to DSEC. This represents a growth of 73 beds from the previous year. There were 1,674 doctors and 2,279 nurses, an increase of 5.2 percent and 14.5 percent respectively, year-on-year. The number of doctors and nurses per 1,000 population was 2.6 and 3.5 respectively, up by 0.1 and 0.4 compared with the ratios in 2014.